Those who wish to be more healthy and want to put up the best fight against the effects of aging should follow an anti-aging lifestyle. One of the most important parts of anti-aging is the diet. We can improve our cell building and restoration hormones such as HGH, but if we do not also provide the body with the brick and mortar it requires to actually build the cells, which we get from nutrients, the benefits will be minimal. Drastically decrease your intake of sugars and refined carbohydrates. Eat plenty of lean protein. Replace the unhealthy fats with healthy fats. Eat a wide variety of fresh vegetables and fruit. Take nutritional supplements if needed. Sugars and refined carbohydrates such as white flour can be dangerous because they are digested so fast that they cause a sudden rise in blood sugar. The rise in blood sugar causes the pancreas to release insulin to carry the glucose into the cells and clear it out of the bloodstream. Insulin causes the excess sugar to be converted into fat and stored. This cycle is detrimental to the body. Over time the body begins to become resistant to the insulin, and so more and more insulin is needed to regulate blood sugar. This can lead to insulin resistant diabetes (type 2 diabetes). Also, too much insulin in the bloodstream has a damaging effect on the cardiovascular system and can promote heart disease. Sweet foods such as cakes, pies, cookies, candies and pastries. Anything with corn syrup, malt syrup, rice syrup, glucose, dextrose or maltose in it. Natural sugars such as honey, maple syrup and fruit juice sweeteners. Anything made with white flour such as breads, pastas, crackers, and tortillas. Processed foods such as salad dressings and frozen entrees. Condiments such as ketchup, mayonnaise. Soft drinks, fruit drinks, fruit juices, performance drinks and vitamin waters. Alcohol, which is converted into sugar by the body. A word about fruit juices. 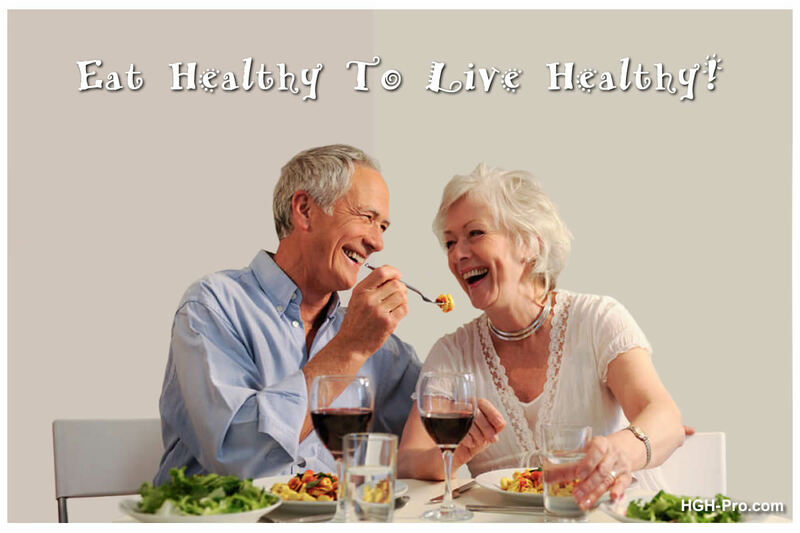 Due to their great nutritional value fruits are an important part of an anti-aging diet. However, it is usually recommended we eat more whole fruits than we drink fruit juice. The fiber in whole fruits helps to keep blood sugar levels stable. Also, some fruit juices have added sugar. Read Labels. When looking for hidden sugars and refined carbs pay attention to the label. The ingredients are listed in the order of amount, with the most plentiful ingredient listed first. For instance, if sugar is listed in the top 3 or 4 ingredients you should avoid. Be Careful When Choosing Wheat Products. Wheat flour, bleached and unbleached, enriched and fortified, are all names for processed flour that has had the fiber and most of the nutrients stripped out. Some products that are labeled whole-grain or whole-wheat may also contain processed flour. Look for products that specify they are 100% whole grain or 100% whole wheat. Health Tip: Evidence is mounting that any type of wheat is not healthy for the human body. Two main reasons are the gluten that wheat contains, and the fact that much of today's wheat has been genetically modified. In order to successfully fight the aging process the body must be able to repair and rejuvenate itself. Protein is essential for building cells, tissues and organs. The source of protein is also important. The source should be low in saturated fats and organic if possible. Fish, preferably wild caught. Wild pacific salmon is the healthiest choice. Eggs and egg whites, some have added omega-3 essential fatty acids. Lean chicken, turkey and cornish hen with no skin. Lean cuts of beef and certain game animals. Venison and buffalo meat contains less saturated fat than livestock animals. Dairy foods such as milk, yogurt, cottage cheese and cheeses. Soy is Not a Health Food! The unfermented soy that is found in protein shakes, protein and health bars, soy milk, baby formulas, etc., is called soy protein isolate. Unfermented soy contains many toxins, including enzyme inhibitors, goitrogens and phytates. The high level of phytic acid in soy blocks the uptake and reduces the assimilation of important minerals such as calcium, magnesium, zinc, iron and copper. The goitrogens in soy are known to suppress thyroid function. Soy also contains potent trypsin inhibitors, which prevent the body from breaking down and using protein. Soy is also known to disrupt the endocrine system, which means it has a negative effect on our hormones. If the label does not specifically state that the soy is fermented, then it is unfermented. Health Tip: It is best to not eat or drink anything that contains unfermented soybeans! Miso - a thick paste that is used to make sauces, spreads, soup, etc. Natto - popular in Japan as a breakfast food, is a good source of protein. Tempeh - has a cake consistency, is higher in protein, fiber, and vitamins than tofu. Tamari - this is soy sauce that is fermented and is also gluten-free. Pickled Tofu (tofu cheese) - most tofu found in U.S. supermarkets is not fermented, but has only been coagulated for thickness. About 90% of the soybeans being grown in the U.S. are genetically modified. If you choose to eat fermented soy you should choose only non-GMO sources. For more information search for the dangers of soy. All fat was given a bad name quite a while ago as many in the medical industry and our culture advised us to stay away from it because it could cause heart disease. The truth, however, is that fats are essential to the body's ability to function. We are now finding that the health problems seem to be related to eating unhealthy man-made trans fats instead of the healthy fat the body needs. Health Tip: We should try to avoid foods that contain trans fats and make sure to take in a healthy amount of essential fatty acids such as omega 3. One of the most important but overlooked components of a healthy diet is fiber. The body needs two types of fiber, soluble and insoluble. Soluble Fiber - is dissolved somewhat in the GI tract. It helps to slow down digestion, thereby helping with the stabilization of blood sugar. Fiber also extends the full feeling and so may help with weight loss. Insoluble Fiber - is not dissolved at all. For this reason it helps to push food along the GI tract, which improves elimination and aids in colon cleansing. Many whole fruits and vegetables naturally contain both types of fiber. The human body is made up of about 70% water and for that reason we won't last long without it. Also important are the minerals (electrolytes) that are found in natural water. Many people today use bottled water. Bottled spring, purified and distilled waters are usually lacking in the required minerals, and reverse osmosis removes all minerals. If drinking bottled water or if you use a water purifier you may wish to consider whether you should replace any missing or low minerals. Health Tip: Some manufactures now add electrolytes to their bottled water. Please look closely at such products because you will usually find the small wording "electrolytes added for taste only". This means that the small amount of electrolytes they have added to the water will not replace what is missing. As unbelievable as it may sound, many cities in the U.S. actually add man-made fluoride into the municipal water supply. This means that you not only drink fluoride but you bathe in it as well. Fluoride is a known endocrine disruptor, which means it negatively affects hormones. Some of the areas we know that fluoride can effect are the brain, thyroid gland, bones, pineal gland, and blood sugar. Please be aware that about 99% of bottled waters contain fluoride. If the bottle does not specifically state that it is fluoride free then you can assume it does contain it. Also, if your water purifier does not state that it has a filter specifically designed for fluoride removal then it will not remove it. Genetically modified organisms (GMOs), also called "genetically engineered” foods are live foods whose genetic makeup has been changed in a lab using combinations of plant, animal, bacteria, and viral substances. Such acts of food manipulation do not occur in nature or through traditional crossbreeding methods. "Roundup Ready" soybeans and corn have been modified to withstand the onslaught of spraying with Roundup herbicide, which contains glyphosate. Notice: The WHO (Word Health Organization) has declared that they believe glyphosate is probably a carcinogen (can cause cancer). Besides the WHO's findings there is much research to support the belief that glyphosate can cause a wide range of illnesses to all forms of life exposed to it. Vitamins and minerals have been available for decades, and for many years most doctors had the opinion that they were worthless. Due to research showing the importance of these vital nutrients and the decrease of nutrients found in today's foods many doctors now recommend at least taking a daily multivitamin. In the last 20 years more and more nutrient research has found its way into the public's eye. Since demand pushes improvements there are now nutritional supplements that derive all their vitamins and minerals from whole foods. Please note there are still many products that are made up of only man-made synthetic isolated vitamins and minerals. Some companies will add some whole food to their product so they can call it a whole food product, but if you look closely you will see that 100% of the RDA still comes from synthetic vitamins. As an example, if you are shopping for vitamin C you will find much ascorbic acid, which is an isolated synthetic vitamin made mostly from genetically modified corn. It does not contain the cofactors needed for the body to best utilize vitamin C.
The best supplement is one that obtains all its vitamin C from whole food thereby ensuring all the cofactors that nature intended are included. One great source of vitamin C is acerola cherries. Health Tip: For the best benefits look for a multivitamin that is 100% whole food sourced. The busy lifestyle that many of us live puts even more stress upon the body. Also, besides dealing with the aging process many of us are living in areas where toxins are all around, from the toxins in the air to the genetically modified foods that many in the U.S. government think we shouldn't be informed about. Today there are so many things that add to the body's toxic burden, which if not addressed may speed up the effects of aging and cause serious illness. The areas of diet I have discussed in this article should be important to anyone wanting to be more healthy. Our health is ultimately our own responsibility, so I recommend everyone educate themselves and discuss with their private doctor the diet that is best for them.